Hang on - Weezer follow-up their Sonisphere 2011 announcement with July Brixton show! Ever since their self-titled album appeared on shelves of local Megastores in the mid '90s, dressed in a very blue sleeve with four casually-dressed (and let's be honest, rather average) chaps smirking at the camera, Weezer have occupied a special place in many a music-fans heart. Seventeen years further on, the sales may have dwindled but the 'live' support hasn't, so much so, that demand is expected to be huge for their upcoming London date in July. Yes folks, no festival to endure to see your favourite geek-rock band, just the Victoria Line on a Wednesday night in the height of the summer. OK, it might be worse than a festival in reality, but you get my drift. 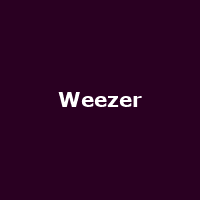 Weezer will preview their Sonisphere show with a headlining gig at the Brixton Academy on 6th July, their first headlining show in the UK since, ooh, records began (more than a few years ago anyway). Tickets go on sale on Friday at 9am, priced at £35. Support has yet to be confirmed, but you can bet this will be quite a show, probably featuring selections from that classic debut, the even better and recently reduxed "Pinkerton" and the recent album duo of "Hurley" and "Death to False Metal". As a reminder, Sonisphere tickets are still available from £180 upwards and it takes place from 8th to 10th July in Knebworth, Hertfordshire.